For many years Conrad Gargett, a leading multidisciplinary design practice, has been a devoted supporter of the Queensland Theatre, Australia’s third largest theatre company. Former home to the West End Brewery, the design of the theatre delivers a functional and industrial aesthetic which complements the legacy of the significant site in Brisbane, Queensland. A focus of the design has been to position Queensland Theatre as an economic and sustainable entity for hosting performing arts, theatre and workshops for the creative arts community and general public. Heightening the intimate theatrical experience of the main studio space was a design focus that has been executed, as was resolving the functional complexities of the technical design aspects. Emphasis has been given to the patron experience, holistically considered through the strategic planning of audience accessibility, amenity, comfort and enjoyment. The new theatre delivers a corner stage arrangement with raked seating to maximise optimum sight lines. A significant feature are the vomitoriums or corridors through the audience to the stage. Sam Strong, Queensland Theatre’s Artistic Director explained, “What that means is that you are able to propel actors really quickly into the space. Also the audience is much more enveloped in the action.” The high level installation of stage sets and lighting has been executed via an innovative method – a highly tensioned net above which the lighting grid is positioned. “This allows access for rigging from almost any point in the space and creates an enormous about of efficiencies for a company like ours,” Strong highlighted. Generous new dressing room facilities are now located directly below the audience seating banks, providing actors with direct access to quick change facilities via multiple entry and exit points from the stage. Actor William McInnes, who is performing in the upcoming Nearer the Gods, stated, “It’s a cracking theatre. It’s very intimate, but it’s big which is great. And the fact that there’s no barrier between the audience and the performers, that’s fun I think.” Importantly the corner layout matches interstate venues allowing for more co-productions, enhancing the economic viability of the theatre company. “They [Queensland Theatre] are going to get a highway of productions coming and going, up and down the east coast of Australia,” McInnes projected. New and expanded audience facilities include a newly refurbished bar and external courtyard with an upper level terrace to accommodate the increased seating capacity which contributes to the holistic experience for patrons. 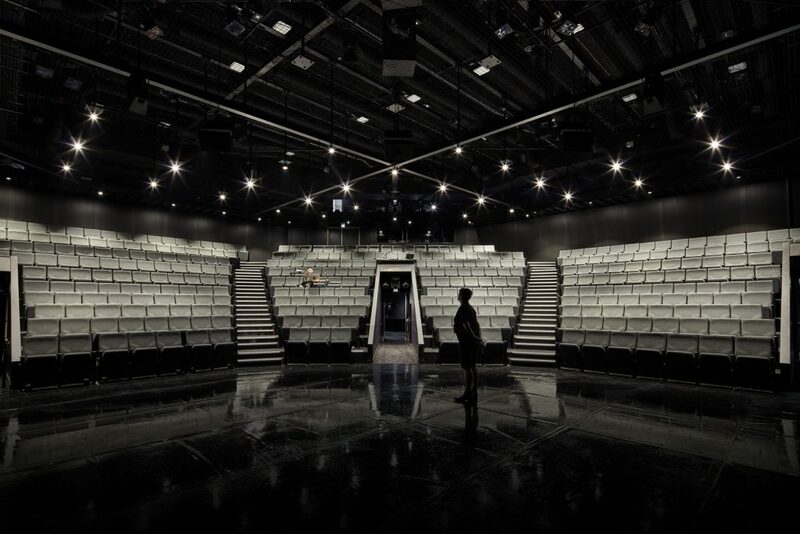 Queensland Theatre’s Executive Director Amanda Jolly praised, “We could not have imagined undertaking a project of this scale and complexity without the creativity, skill and determination of Conrad Gargett.” “Conrad Gargett is a practice that understands the intricate design of performing arts spaces. They have appreciated the kind of audience experience we were hoping to deliver, both within the Bille Brown Theatre and in the adjoining bar, foyer and courtyard areas. Conrad Gargett professionally collaborated with us and extracted on the expert knowledge that we brought to the project, at both artistic and technical levels.” “This has been a project with a tight timeframe and a limited budget, which has been carefully and successfully managed by Conrad Gargett. More than anything else, we have been so impressed by the dedication of the team who have given this project 110%. This is illustrated in the finished result, the Bille Brown Theatre. It has been a pleasure to work together,” Jolly stated.